For the second year in a row, Governor Bruce Rauner is proposing in his FY17 Budget Proposal of eliminating funding for agricultural education, and one lawmaker provides his input on the situation and what it could mean for the State if it gets cut. 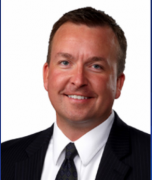 State Senator Andy Manar (D-Bunker Hill) of the 48th District told Regional Radio News that Ag education is vital as it pays dividends to communities and across the State, and they will fight to restore that funding. Hundreds of FFA students were at the State Capitol recently as part of Ag Day, including students from Pana, Nokomis and Lincolnwood. Manar says if the funding is cut, then it’s possible that schools could drop the program. Manar says there are two ways to save funding for Ag, which is to amend the information, or introduce a separate bill that would restore the funding. More information can be found at senatorandymanar.com.